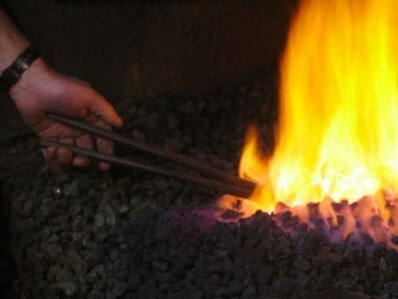 Here are two sequences of instructional pictures to show the forge welding process and the way iron can be cast, (although alluminium is used as the medium in this case). 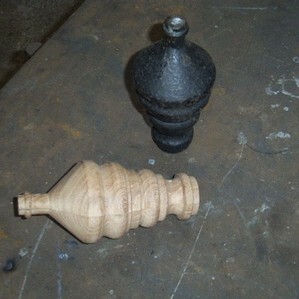 The finials were for a Georgian Spa house, and the chain was a back chain for a heavy horse. Start each slideshow to learn more and then contact Simon to learn how to do it for yourself.